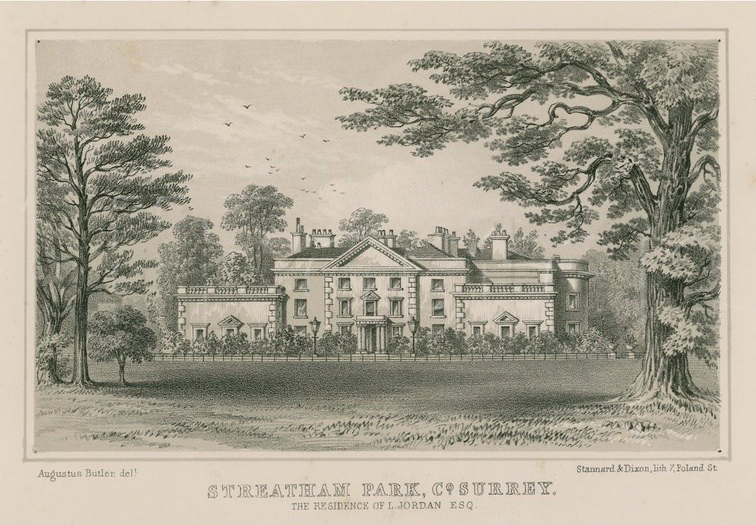 Streatham Park, or Streatham Place, was built in 1730 by Ralph Thrale (1698-1758) on 89 acres of land bought from the local Lord of the Manor - the fourth Duke of Bedford. 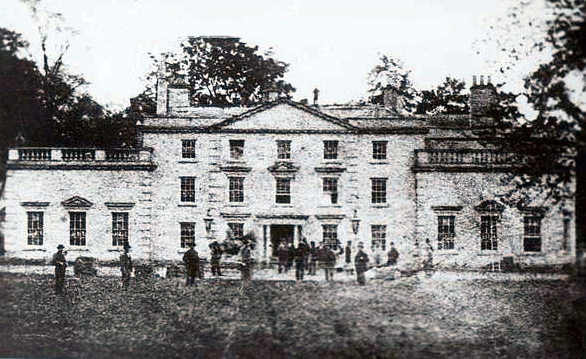 It was rumoured that the sale price was a ten-year supply of ale and porter for the Duke's home, Woburn Abbey. The house was in a park of 109 acres. The kitchen gardens, Henry's pride, were surrounded by fourteen feet high brick walls. At the back of the home were farm buildings, domestic offices, large greenhouses, stables, and an ice-house. Behind these and to the west was the kitchen garden with forcing­-frames for grapes, melons, peaches, and nectarines. Later the an extensive meadow was created which was separated from the adjoining heavily wooded park by a three acre lake. The lake contained an island, accommodated a boat and drawbridge. In winter the lake was used for skating. The grounds were elegantly planted, with a two mile long circular gravel walk, shrubbery and a ha-ha1. I found, at an elegant villa, six miles from town, every circumstances that can make society pleasing. Johnson, though quite at home, was yet looked upon with awe tempered by affection, and seemed to be equally the care of his host and hostess. I rejoiced at seeing him so happy. I can think of no better place for Chimistry in fair weather, than the pump side in the kitchen Garden. On Wednesday I dined at Streatham … We had a most elegant dinner, and the best of all feasts, sense and wit and good humour. Mrs Thrale is a woman of very superior understanding, and very respectable as a Wife, a Mother, a friend and a Mistress of a Family… Mr Thrale has a fruit garden and a kitchen garden that may vie with the Hesperian Gardens for fruit and flowers. It was at Streatham that Fanny Burney later wrote the verses of the Streatham Flasher in March 1779. I know not how to express the fullness of my contentment at this sweet place. Sometime after Henry Thrale's death in 1781, the Thrale's spent some time in Grosvenor Square. Streatham Park was leased and had new occupants. Prestigiously, the first was Prime Minister Shelburne from September 1782. 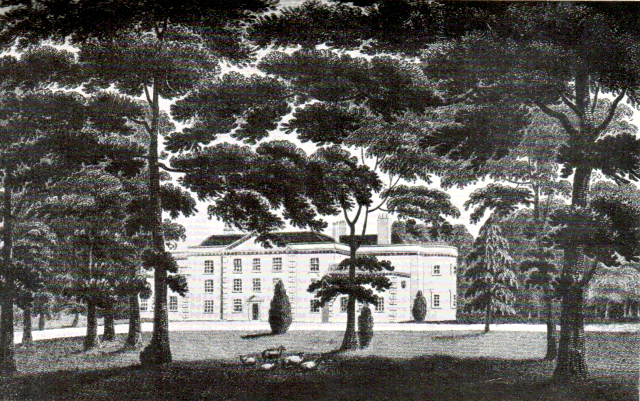 Streatham Park was leased until 1828, aside from six years between 1790 and 1795 when Hester and Gabriel Piozzi resumed occupancy. 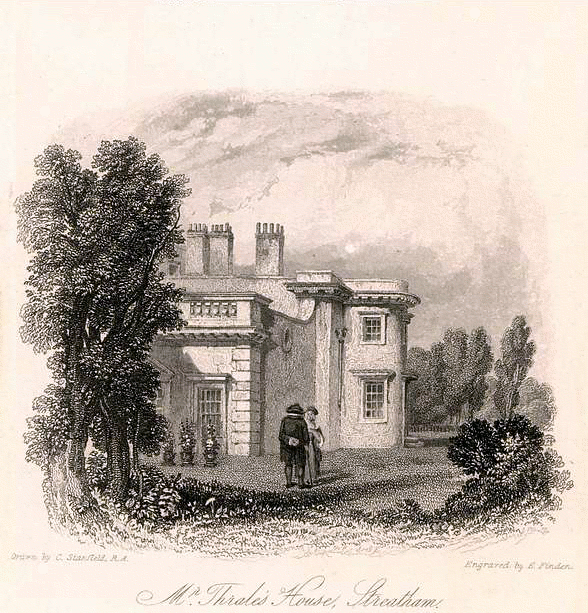 Streatham Park was let until April 1790, after which Gabriel and Hester Piozzi returned. Much damage was done during the seven and a half years during which it had been rented. £2,000 was spent on restoration which was completed by the time of their seventh wedding anniversary when the Piozzi's threw a grand party. The numbers at the party gives some concept of the size of the house. 36 people sat down to dine at a long table in the library, and 12 people were seated for dinner in the adjoining dressing room. We have kept our seventh Wedding Day, and celebrated our Return to this House with prodigius Splendor and Gayety. Seventy People eat at our Expence, Thirty six of which dined at an immensely long Table in the Library6 —The Plate so fine too, the China so showy, all so magnificent, and at the Time of Dinner Horns Clarin &c wch afterwards performed upon the Water in our new Boat that makes such a beautiful, such an elegant Figure. Never was a pleasanter Day seen, nor Weather half as favourable: the Setting Sun, the full moon rising, were wonderfully happy Additions; and at Night the Trees & Front of the House were illuminated with Colour'd Lamps, that called forth our Neighbours from all the adjacent Villages to admire & enjoy such Diversion. Many Friends swear that not less than a Thousand Men Women & Children might have been counted in the House & Grounds, where tho' all were admitted, nothing was stolen, lost, broken, or even damaged—a Circumstance almost incredible; & which gave Mr Piozzi a high Opinion of English Gratitude and respectful Attachment. On the Morning of this Day twenty seven years ago I first opened my Eyes in this House, to wch my Mother, myself, my Uncle & distant Relation the Rev: Thelwall Salusbury who had married us—were brought by Mr Thrale to reside. And what a House it was then! a little squeezed miserable Place with a wretched Court before it, & all these noble Elm Trees out upon the Common. Such Furniture too! I can but laugh when it crosses my Recollection. Yet how serious and how thankful should every Thought of my heart be, at the Remembrance that every Year has produced some singular Improvement, & that here I am, blessed with Health to enjoy all that has been done by both my Husbands for my Satisfaction and Comfort. Poor Piozzi has sure enough, a little over-done the Business; & put us into a little Distress for Money, to pay these last Bills: which amount to no less than two thousand Pounds. Streatham looks divinely itself; my present Master has been an admirable Steward for my past Mistresses, who I hope will approve his Works, tho’ I'm told they always censure mine. Our Nursery Garden, Shrubbery &c. is in the finest Order I ever yet saw them; & the House has an Appearance of Gayety never attempted in Mr Thrale's Time. Constant Company, elegant, expensive and tasteful Furniture; splendid Dinners and fine Plantations. 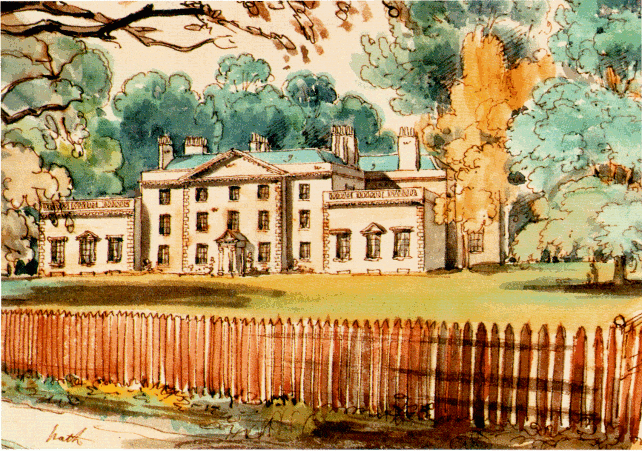 I am glad that Hanover Square house is let, or going to be Let to Lord Dumfries ; our Establishment here is too magnificent for the admission of other Expences, and if we are prudent even Bath must be given up for this Season, for one cannot do every thing; tho' by Dint of Management I see that a great Deal may be done with 3000£ o'Year. M r Piozzi is a capital Manager. We are going to Bath for the Season, most of our great Debts paid, & our Hearts at Ease: the Servants always plague one I think— but that's of small Consequence. Here was then neither Lawn, nor pond, nor Shrubbery without doors; nor Eating Parlour, Drawing Room or Library within—but a little Brick House with four Walls, & there a Gate. The Park divided into Fields or Closes, & all the Pleasure Ground Common. 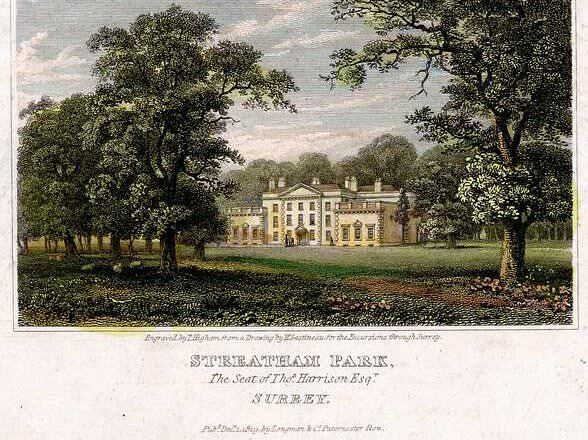 In Thraliana on 17 April 1795, Hester curiously wrote that her bedchamber at Streatham was 31 of her steps wide and 28.5 long - remember that she was only 4 feet 11 inches tall - while Brynbella's was 26x26 steps. You would not know poor Streatham Park, I have been forced to dismantle and forsake it; the expenses of the present time treble those of the moments you remember; and since giving up my Welsh estate my income is greatly diminished. I fancy this will be my last residence in the world, meaning Clifton, not Sion Row, where I only live until my house in the Crescent is ready for me … The village of Streatham is full of rich inhabitants, the common much the worse for being spotted about with houses. The contents of the library were sold in Manchester on 17 September 1823. 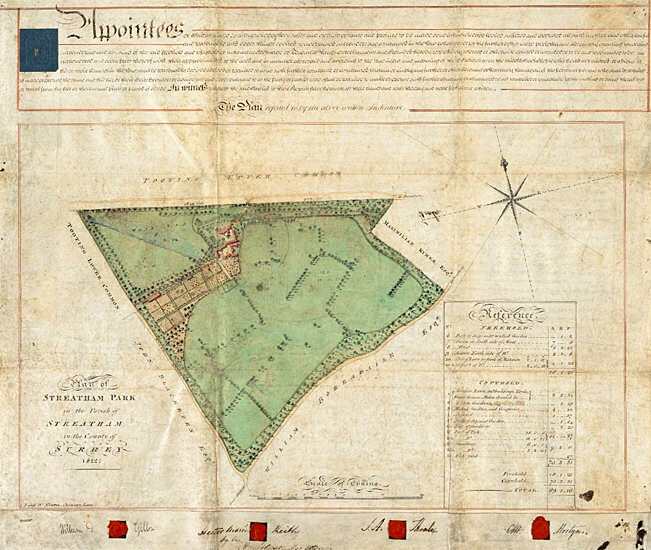 In 1825 the property was sold to Michael Shepley, and the deeds of sale included this plan. 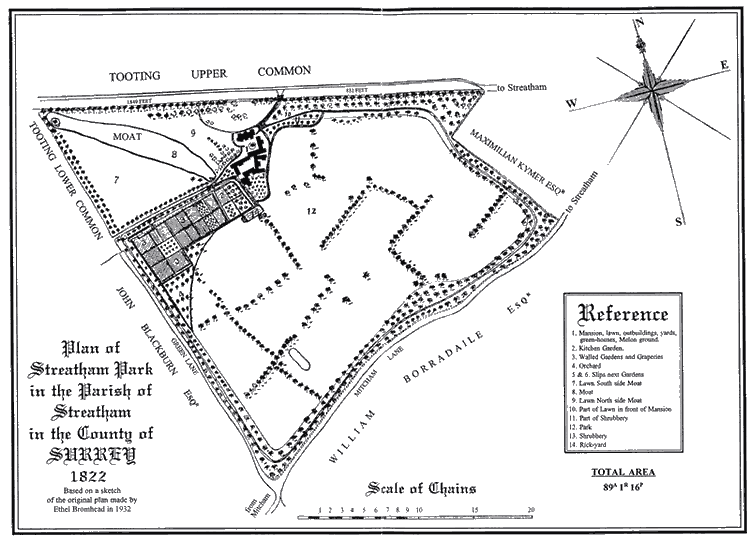 Streatham Park was demolished and the materials sold in May 1863. The site of the estate was replaced by a residential area of housing known as Streatham Park. In 1946 the houses came under the control of the London County Council. 1. A walled ditch or sunken obstacle, such as a hedge, serving especially as a barrier to livestock without impairing the view or scenic appeal. 2. [Clifford]6, page 49, and Thraliana 12 October 1790, 17 September 1791. 4. Source: The Diary and Letters of Madame D'Arblay, Volume 1, Frances Burney. 6. 36 in the library, 12 in Mr Piozzi's dressing room. 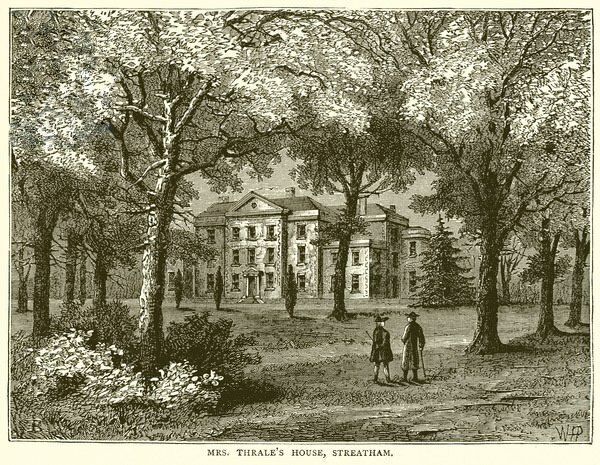 Hello, I visited Thrale.com as I am interested in local history, especially the Furzedown Ward, which includes some of the Streatham Park estate. I don't know if you have been informed, but there is now a residents association called Furzedown Community Network. We have been in existence for four years and over that time arranged three festivals, local history talks and walks, dances and contacted the council on behalf of the residents and the area. 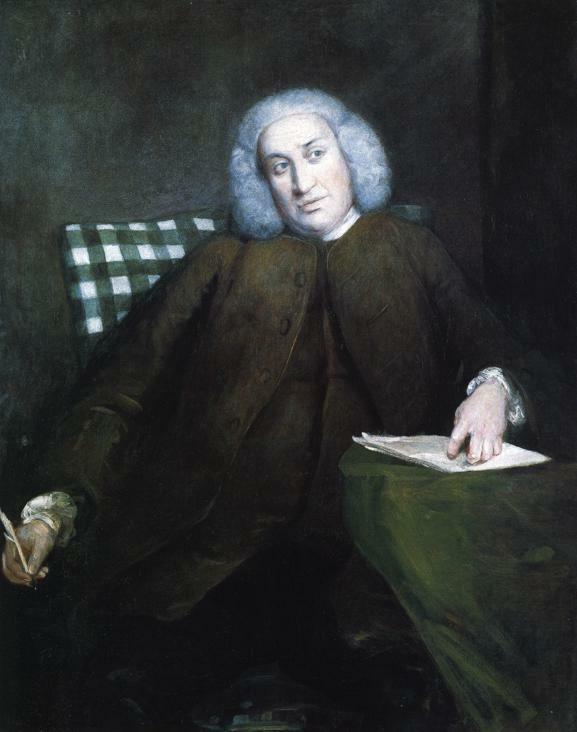 Our only pub, which has had various names, recently The Park Tavern, is being completely refurbished and renamed The Samuel Johnson, to maintain local links. Please get in touch if you would like further information, maybe you could come and give an insight into the areas history sometime? I'm not really an expert in the area, What I have on the website is just stuff that I have researched in books or information I have received by other kind visitors to Thrale.com. But if you think people would be interested in what I've found out, do let me know.